Derek Fildebrandt, plagued by a series of political scandals, is stepping down from the United Conservative Party caucus. 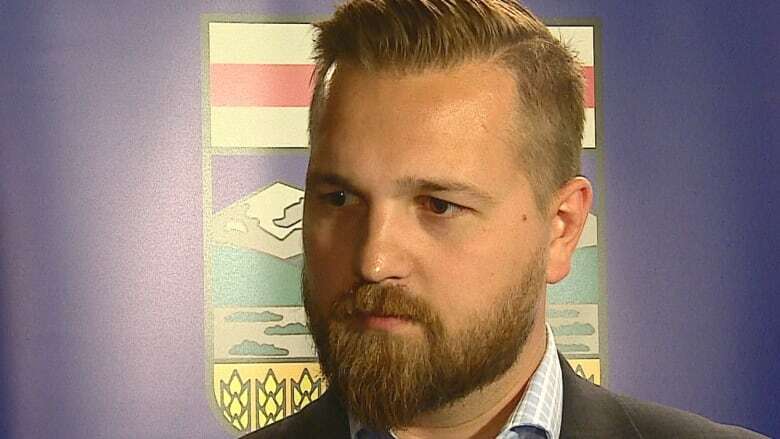 Derek Fildebrandt, the United Conservative Party MLA now plagued by a series of political scandals, is stepping down from the newly formed caucus. Last week, Fildebrandt apologized and repaid more than $2,500 after it was revealed he had been subletting his Edmonton apartment while claiming his taxpayer-funded housing allowance as an MLA. He also resigned as the party's finance critic. Then on Monday, Fildebrandt blamed "administrative errors" for the apparent double-billing of some meal expense claims over a period of two and a half years. That was followed on Tuesday by the revelation Fildebrandt is facing a hit-and-run charge for an alleged incident in which a parked van was reportedly struck by a driver who fled the scene. In a statement Tuesday night, Fildebrandt resigned from the UCP caucus, acknowledging he has made mistakes and that those mistakes have become a distraction for the party. "This young party cannot afford to be distracted from the formative period that it is in right now as we come together as conservatives. I owe that to my colleagues, my party members, my constituents, and all Albertans," Fildebrandt said. "Right now, media controversy is distracting from the work that must be done as the UCP is founded. The UCP leadership race should be focused on issues of leadership and values, and not on personalities. "I have made honest mistakes — always doing what I believed was best at the time — and I accept responsibility, and am truly sorry," he said. "As media attention now passes from public issues to private issues, taking responsibility is not enough, and so I have submitted my resignation." Fildebrandt's resignation notice was immediately followed by a statement from UCP interim leader Nathan Cooper accepting his resignation. "I'd like to thank Derek for his commitment to the creation of the United Conservative Party and to the people of Strathmore-Brooks," Cooper said. Fildebrandt said he will now take time to focus on his family and the constituents of his Strathmore-Brooks riding. "My family and my constituents are the most important things to me, and I want to do them proud," he said. "I'm a flawed man, and I can do better. If I have let anyone down, know that I have let myself down, and I will prove that I am the man that I hold as the standard for trust and integrity." Cooper stated that "if Derek can live up to the expectations he has outlined in his statement, to the satisfaction of the UCP caucus and to Albertans there would be consideration for a future path for him back to the UCP caucus."